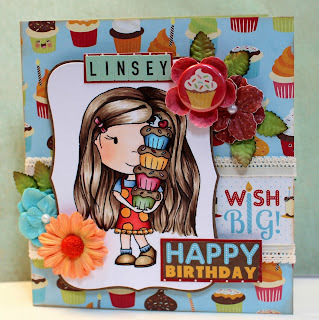 What a bunch of scrap...: A cupcake birthday! 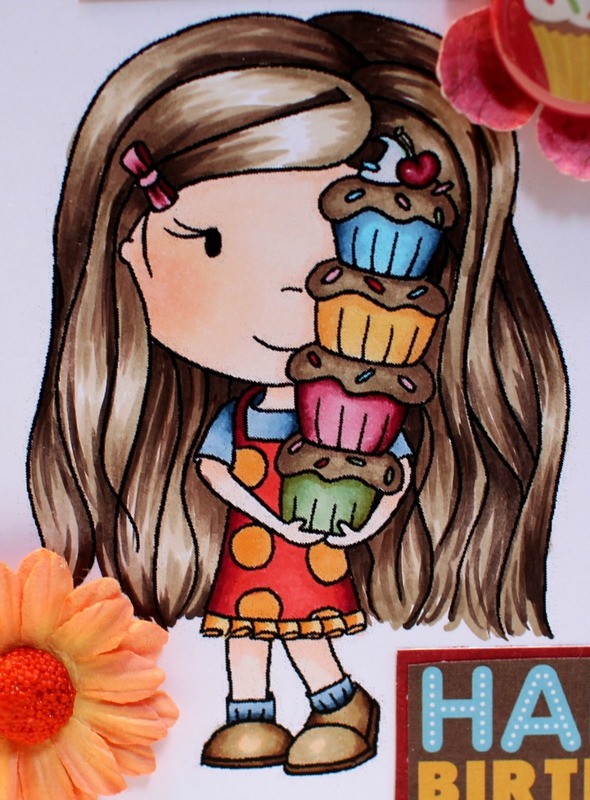 I made a birthday card using Imaginisce "Hello Cupcake" pp and the cutest little stamp from Paper Nest Dolls - "Cupcakes Anyone?" 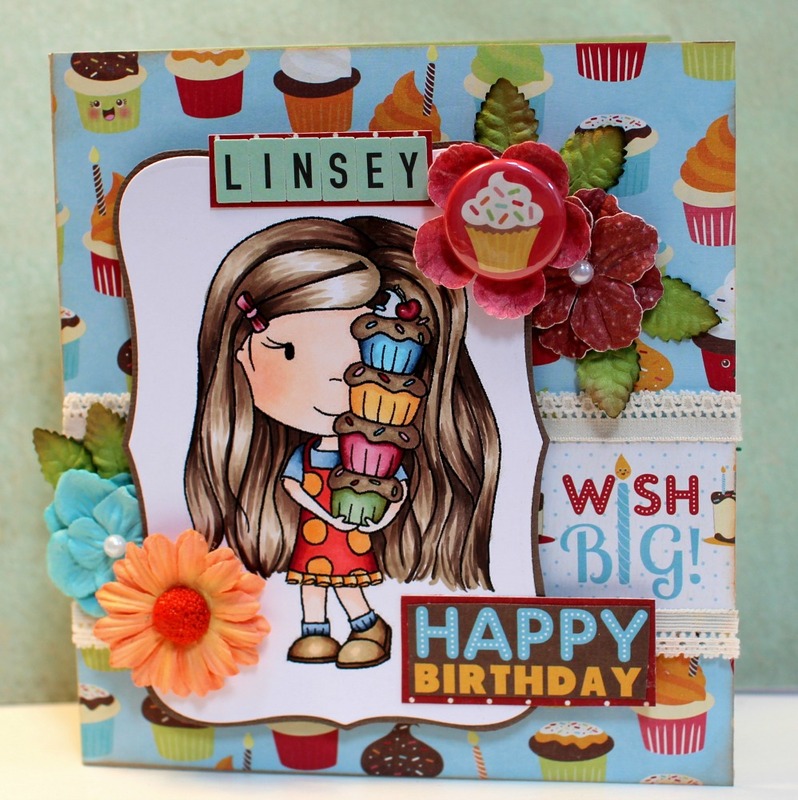 ... the pp and the stamp are totally a match made in heaven :) This is a birthday card for Linsey. I used a cupcake badge from OA for the flower center. Very cute.. what a stack of cupcakes! Really cute card, love those colorful cupcakes..